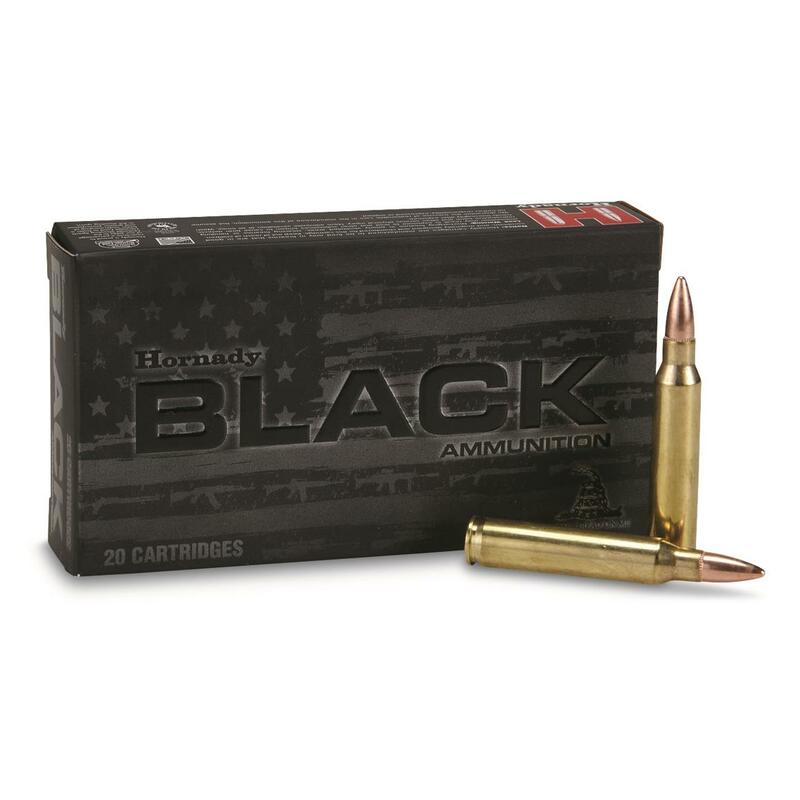 Hornady® BLACKTM ammunition features versatile loads optimized for excellent performance. It's designed to fit, feed and function in a variety of platforms and delivers superior performance for a variety of applications. Hornady Black, .223 (5.56x45mm), FMJ, 62 Grain, 20 Rounds is rated 5.0 out of 5 by 1. Rated 5 out of 5 by jeff from Hornady "Black" 62 gr 5,56 ammo I recently built an AR-15 with "select" top quality parts. I've been trying 4-5-6 different brands of ammo to see what it likes (both in .223 and 5,56). To date the Hornady 62 gr. has worked flawlessly. Zero jams or failure to feed issues that I've been experiencing with the other brand ammo. Most of the feed issues has to do with the tip of the ammo. Hornady has a shorter "ogive" which makes for a fatter tip / point on the bullet. I've also found this to be the most accurate ammo so far.